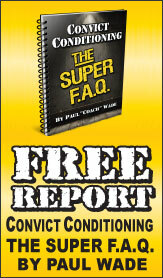 How sure are we that Street Workout (eBook) will work for you? Simply fill out the form below and put Street Workout (eBook) to work for you right now. Obviously, we would go out of business if Street Workout (eBook) didn't work, the way we said, right? With the promise of a full refund if you're unsatisfied, you have nothing to lose by trying Street Workout (eBook). Go ahead and try it today. 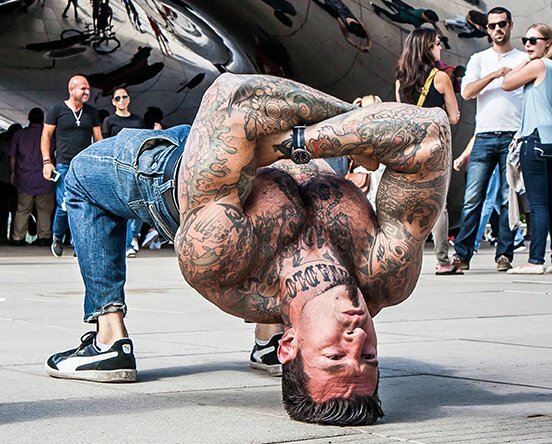 Intermediate and advanced calisthenics practitioners will discover a veritable treasure chest of tips, techniques and insider secrets—guaranteed to force-feed their future achievements in the realm of bodyweight mastery. Pushing, pulling and squatting your own bodyweight along with forward flexion and back bridging represent the basics of getting brutally strong, solid and unbreakable. By utilizing basic principles of progression such as the manipulation of leverage, adding or removing points of contact and/or increasing the range of motion, you can continue to get stronger without ever having to pick up a weight—and have a helluva good time while you’re at it! 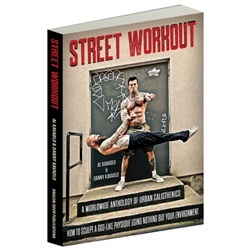 Street Workout proves it so—with its mix of inspirational photography, exact detail on what to do when—and its step-by-step blueprints for off-the-charts, eye-popping physical excellence. The final category to achieve here is the Planche which represents calisthenics strength, precision, skill and fortitude in the most advanced forms. Have at it and let us know how you do! Nothing screams "Street Workout" like bar moves. Many practitioners of advanced calisthenics were roped in the first time they saw these exercises because they are so spectacular looking. The Kavadlos sure were! However, these bar moves are not just eye-poppingly cool to look at—they require tremendous strength, skill and perseverance to attain. These gravity-defying feats will suspend you in mid-air and have you feeling like king or queen of the world! 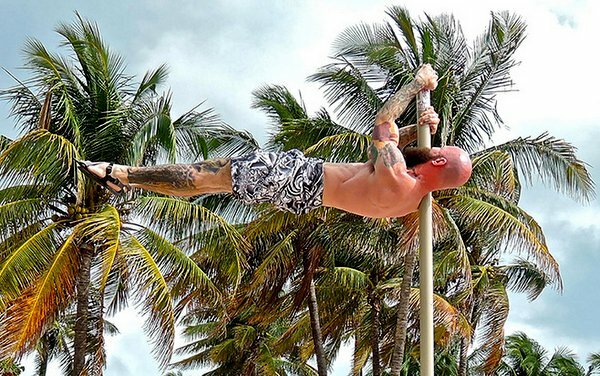 The full press flag has become synonymous with Street Workout. Perform it in public and watch as heads swivel, jaws drop, hearts pound and iPhones leap into action like there’s no tomorrow! Chapter 12 gives you a handy set of Assessments so you can see how you stack up against the best in the bodyweight kingdom. Here you can assess your relative calisthenics competency across a broad array of classic street workout exercises. These charts can also serve as a guideline to help you determine when it is appropriate to move on to harder exercises. Go from the modest Start Me Up, take the 50 Rep Challenge, say hello to the Three Amigos, charge yourself up with Static Electricity, split yourself in half with Up Above and Down Below, bring it and bear it with the Full Frontal, be a sucker for punishment with Back For More, magically get the highest possible strength gains with the Wizard’s Cauldron, scorch your upper body with Danny’s Inferno, brutalize your horrified posts with Leg Daze and finally—for the ultimate of Street Workout warrior challenges—take on the Destroyer of Worlds! Chapter 14 gives you 6 Training Templates that you can incorporate into your programming. They serve as examples of how you can approach your routines. A final Bonus Section brings invaluable additional advice from Al and Danny which pulls the whole Street Workout shebang together, based on questions they’ve been asked over the years as trainers. This book is well presented, with its vibrant imagery from screenshots set in New York to London, creating workouts out of everything and anything available outdoors really gives this book an authentic and unique feeling from all other manuals. The Kavadlo brothers mean business. Their workouts variations will enable users to blast through plateaus. And as an added bonus they share their wisdom about training, diet/nutrition, mindset is completely congruent with what I believe personally. Cannot find one fault and I've had this product since it's launch months ago and only placed my review now (purposely). Even the bonus material is enough for a book on its own. Street Workout falls under the "essential" category. A few other titles in that category are Enter the Kettlebell and Naked Warrior by Pavel, Raising the Bar by Al Kavadlo and of course all of Coach Wade's stuff. 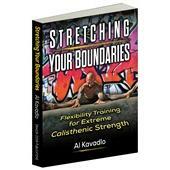 The Kavadlo brothers' Street Workout is a fantastic compendium of urban calisthenics that will develop your mind, body and spirit. The layout is intelligently progressive and represents every level of fitness. Not only is every move detailed, but the Kavadlo Bros offer insightful tips that only their combined years of experience can provide. While total body strength is the theme, the golden thread running throughout the book is fun. 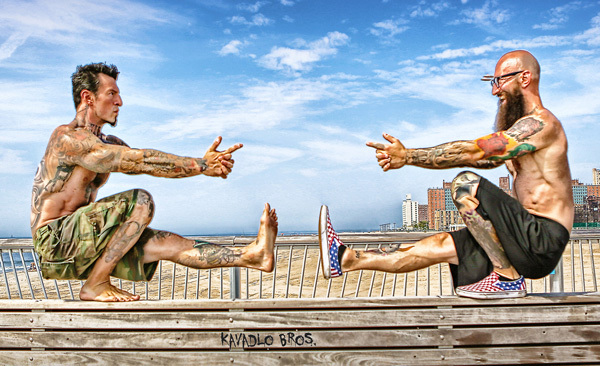 Give the Kavadlo Brothers a high five for this one! Rated 10/10 You've got to get this book !!!!!!!!!!!!!!!! The Kavadlo's do it again in collaboration not singular! If you're a seeker of knowledge and a serious practiciner in the world of calisthenics, you owe it too yourself to pick this book up! 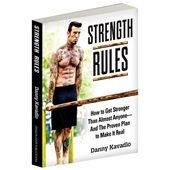 This is also a great book to have Personal Training clients follow. I love this book, the only thing missing is Al's & Danny's autograph! 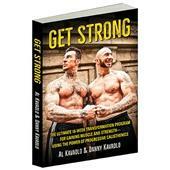 I have all of Al and Danny's books Street Workout was the cherry on top !! I injured my back a few years ago doing heavy deadlifts I searched around the internet for alternative methods to help rehab my back ... and I found these 2 beauties !! Everything in this book is all you need to be the strongest healthiest person you can be !! It truly is the bible of Calisthenics !!! I would like to thank Al and Danny for helping bringing me back from what I thought was gonna be a life long injury I can proudly say I'm a calisthenics junkie now !! If you're a newbie purchase this book you won't be disappointed !!! Thanks again guys !!! Rated 10/10 A celebration of a unique artform. I'm a street workout practitioner & have been for over a decade. At one time I thought I was the only one. When I lived in a small apartment, I used a tree across the street for pull ups & some right angle bars protecting light control boxes on the opposite side for dips as the traffic thundered past. Odd scraps of edgeland can suddenly become attractive to the alert practitioner of calisthenics - those travelling or out & about can make the day productive without having to take any kit or wear special clothing. The Street Workout concept is easy to adopt. In the city there are railings, fire escapes, gates, walls, scaffolding, benches, all manner of things. Open spaces with scenery, graffitti, rivers, wastelands, statues - choose your own backdrop to suit your mood. Some might feel shy doing their exercises in public. More people are doing it though - an elderly couple at a railway station asked me what I was training for & the lady said she had some mobility issues, but had never thought to do her rehab exercises anywhere except at home. I reasoned that most people now were too engrossed in their smart phones to even notice so why not use the waiting time productively? I've made friends with other calisthenics practitioners who came over to chat. It can be a very social endeavour. This Street Workout book is a celebration of this particular artform, performed by the World renowned Kavadlos with characteristic finesse. It will inspire those who need a push in the right direction, provide a framework to novices & give delight to Coach Wade's Bodyweight Army who have been quietly getting on with their pull ups & push ups in the cities of the world for years. This book is awesome!! 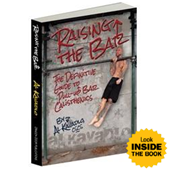 A must have for any practitioner of Calisthenics. It's got everything you need from push-ups to flags with all the progressions in between. Great instruction on how to do everything. Way to go Al, Danny, and Dragondoor! Will definitely get the hardback edition when it comes out. An excellent book that provides a comprehensive reference for body weight exercise progressions and regressions. Clear instruction and explanations. Rated 7/10 In general, good information. Some details. a) It has a lot of pictures. Ok, the pictures are great, but in a book, I prefer information to use, than a lot of pictures, and certainly, many of them appear to be used to fill in the book. b) They provide information about many types of workout, that could be arranged in better order to use. I like the system used in convict conditioning, for example. 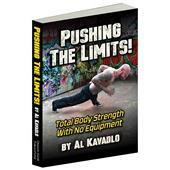 I've read previous books from Al Kavadlo, and this one is not as good as Raising the Bar or Pushing the limits! Keep the good work Al!